Sellers Comments - Never be caught unprepared again with this multi purpose tool. 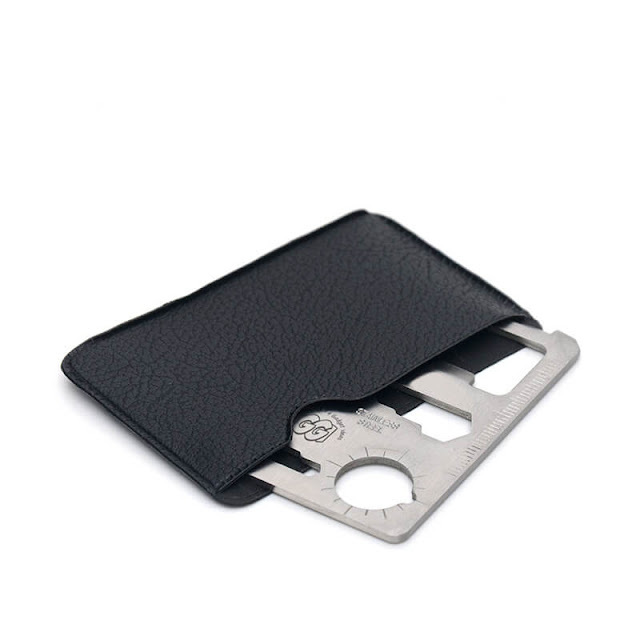 Coming inside its own leather-look wallet, this small stainless steel gadget is man's best friend when it comes to all sorts of outdoor pursuits like fishing, camping and or just rambling! It includes a can opener, a wrench, a screwdriver and even a saw blade! 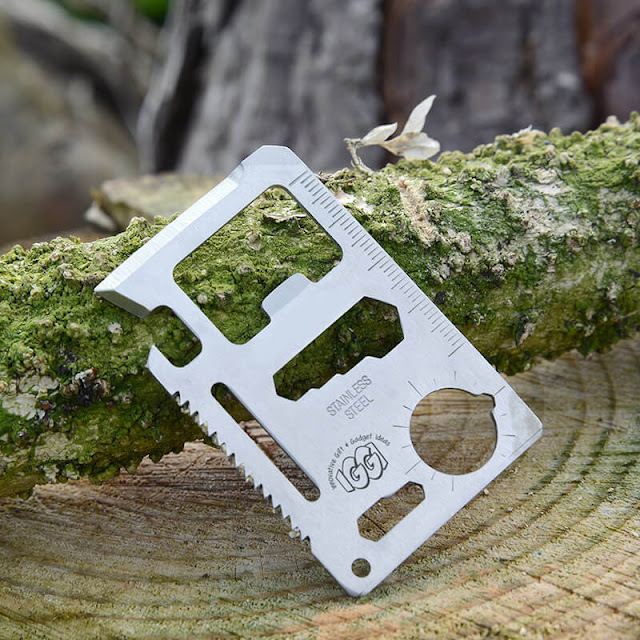 You'll be prepared for whatever comes your way in the wild with this awesome bit of kit - perfect for dads and outdoorsey-types! 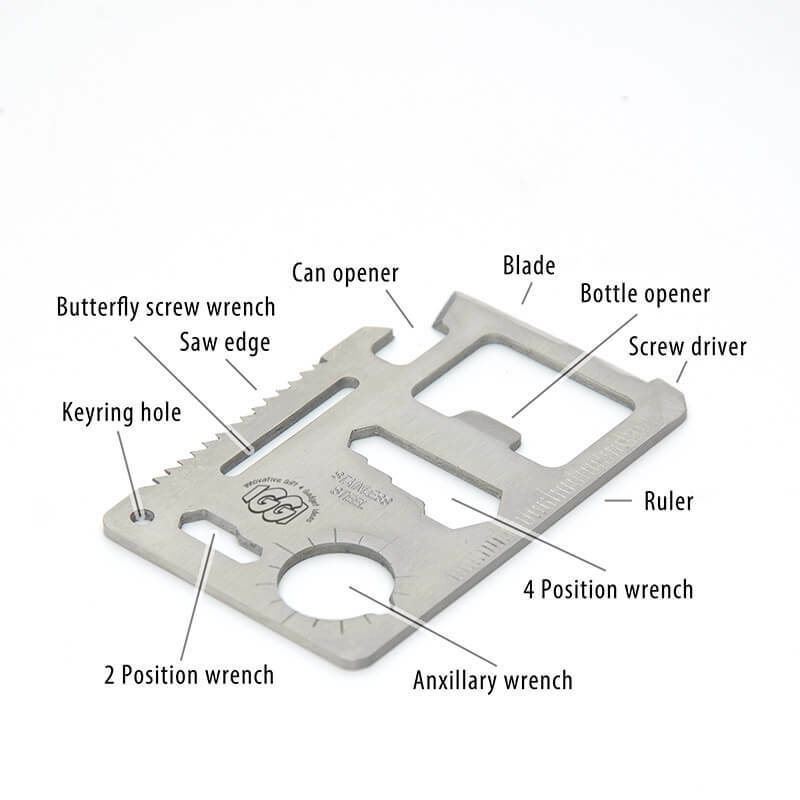 Includes: Can opener, cutting edge, screwdriver, 5cm ruler, bottle opener, 2 & 4 position wrench, butterfly screw wrench, saw blade and auxiliary wrench. Comes in it's own plastic leather-look case. Credit card sized, so you can keep it in your wallet.